We regret that due to insufficient numbers registering to compete as the weather this year has had an impact on those travelling to attend, the Young Pipers Championship 2019 has been cancelled. Stay tuned for details for next year's Young Pipers Championship 2020. 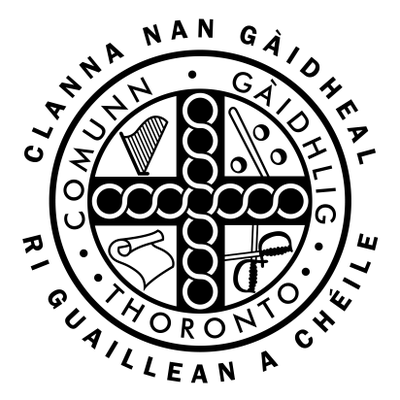 Comunn Gàidhlig Thoronto / The Gaelic Society of Toronto is pleased to be hosting our annual Young Pipers' Championship . The Championship is open to all Pipers 21 years and under and according to Grade. Deadline for entries is Wednesday February 13th, 2019. Please review details below before registering. All competitors to perform a 3 to 5 minute medley of bagpipe music of their choice; the selection of tunes must include one slow air from the list of tunes posted below. Gaelic Society of Toronto Medals will be awarded for 1st, 2nd and 3rd in this category. All competitors to submit one slow air and play once through, selected from the list of tunes posted below. Gaelic Society of Toronto Medals will be awarded for 1st, 2nd, 3rd, 4th and 5th in this category. ​Preparation tip: While many of the tunes on the Gaelic air list are originally songs or pipe versions of the songs, suggest that parts be repeated as is the convention in Highland piping ... particularly as this is a competition and invariably a well played air with parts not repeated (as might go the song) will not prevail over a equally well-played pipe rendition where the parts are repeated. So: repeat the parts.